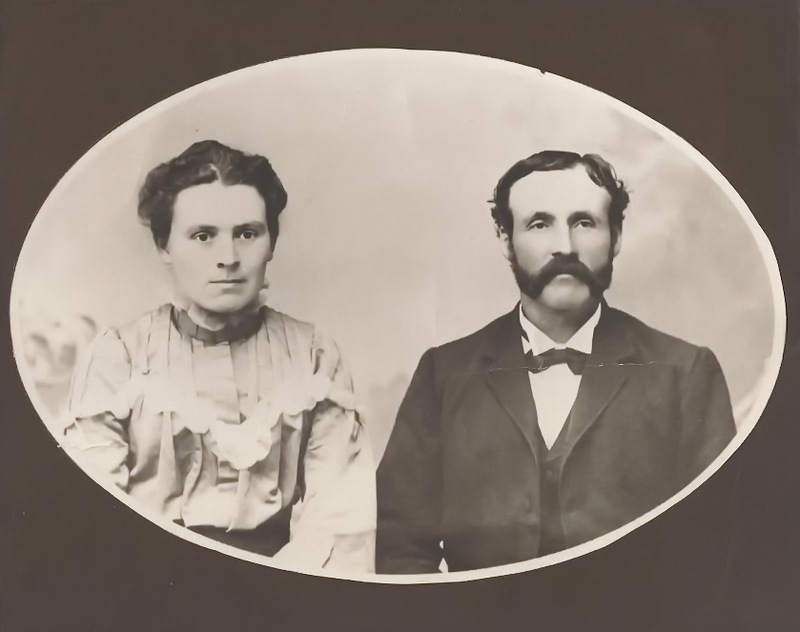 Marriage* Ellen Jackson Fawns married James Tutt on 7 February 1876 in Goderich, Huron County, Ontario, Canada. 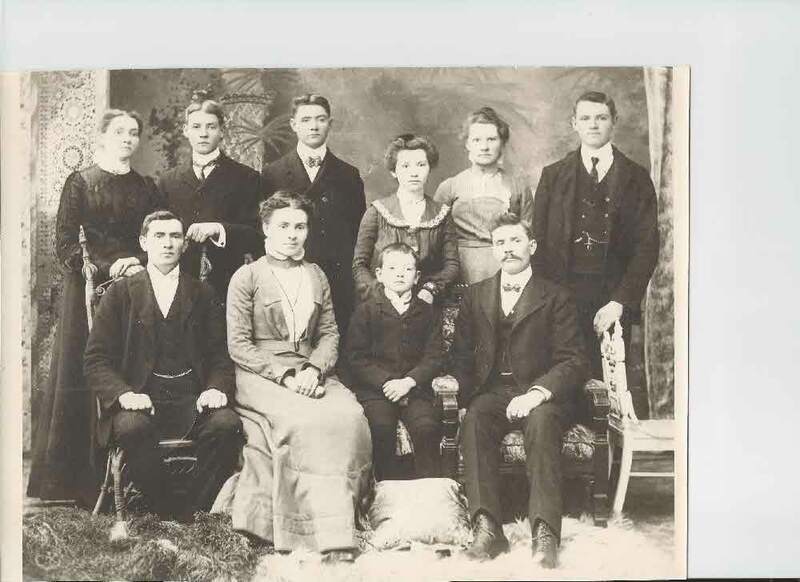 (Witness) Fact 1 Ellen Jackson Fawns witnessed the Fact 1 of James Tutt; Photo of James Tutt, Ellen Jackson Fawns and family. 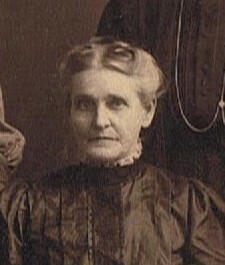 Death* Ellen Jackson Fawns died on 13 October 1911 in McDougall Twp., District of Parry Sound, Ontario, Canada, at age 57. 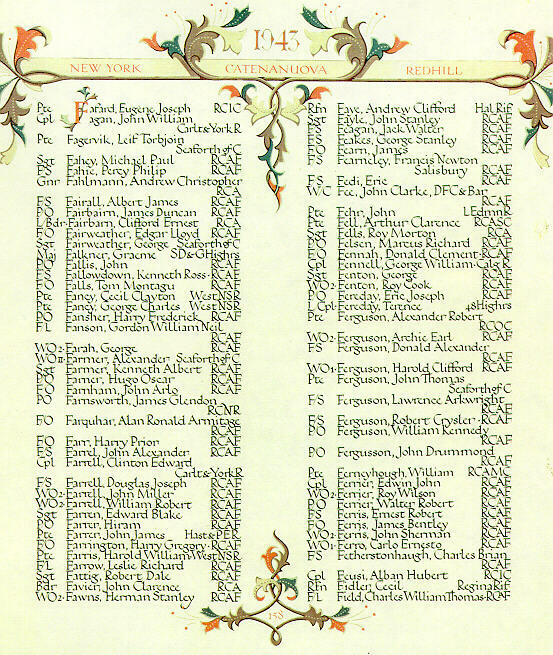 Fact 1* Herman Stanley Fawns is remembered on Page 158 of the Second World War Book of Remembrance in the Peace Tower in Ottawa, Canada. 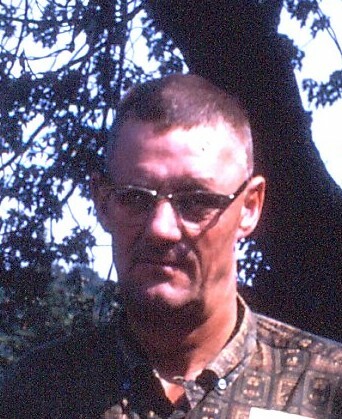 Death* Lloyd G. Fawns died on 13 January 1990 in Port Orange, Florida, United States; Port Orange - Lloyd G. Fawns, 68, Blustery Drive, a winter resident since 1982, died Saturday at Humana Hospital. Mr. Fawns was born in Scott Twp. Ontario and came here from Port Perry, Ontario. 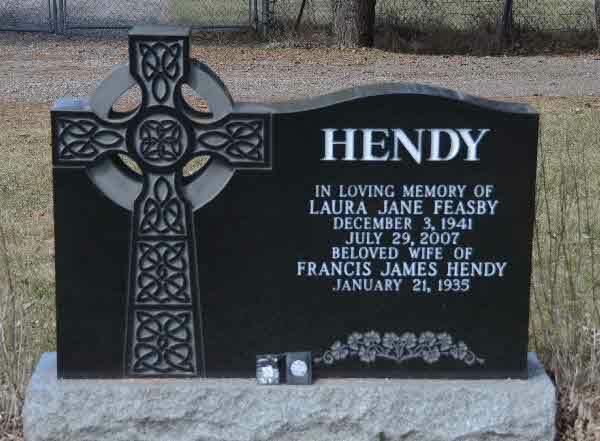 A retired farmer, he was a member of the United Church and Royal Canadian Legion Post, both in Port Perry. 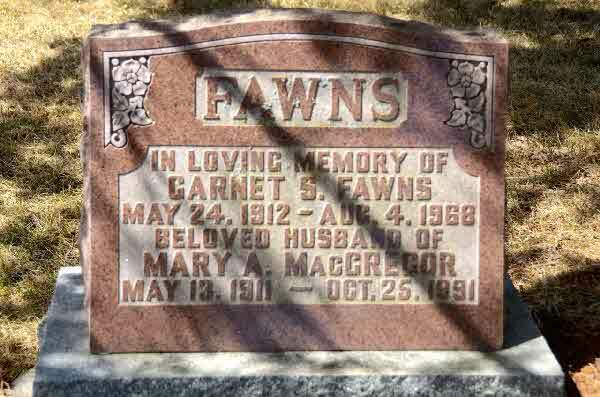 [S16] Unknown author, Foster Memorial Cemetery, Durham Genealogical Resources (n.p. : n.pub.). 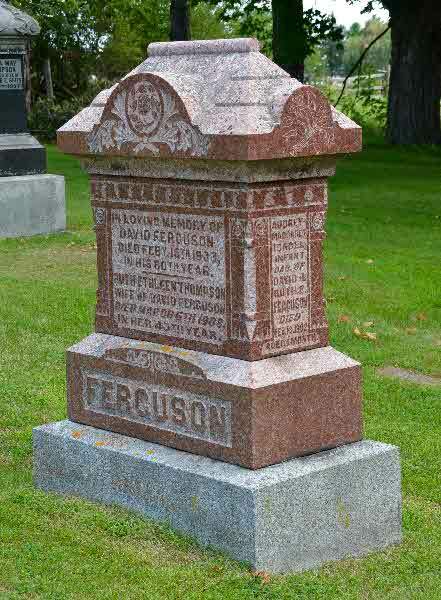 Death* He died on 21 August 1917 in Parry Sound, District of Parry Sound, Ontario, Canada, at age 57. 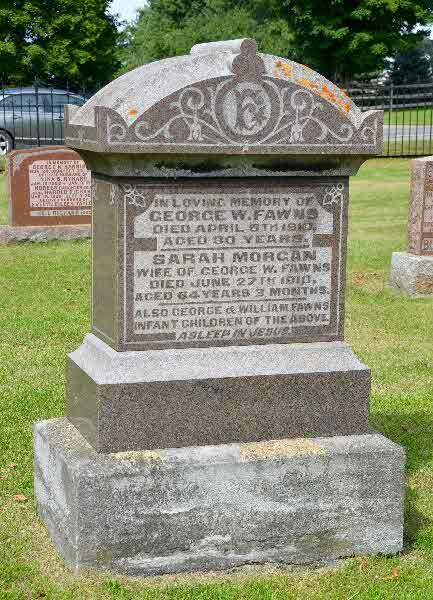 Burial* She was buried on 4 August 2007 in Goodwood Cemetery, Uxbridge Twp., Goodwood, Ontario County, Ontario, Canada. 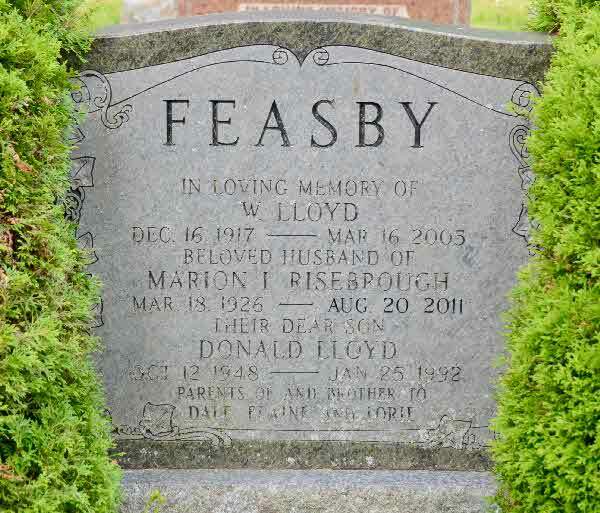 Death* Oscar MORLEY Feasby died on 2 July 2009 in Port Perry Community Nursing Home, Port Perry, Ontario County, Ontario, Canada; Passed away peacefully at Port Perry Community Nursing Home on Thursday, July 2, 2009 in his 91 st year. He is survived by his beloved wife of 60 years Phyllis (Nee: Carson). Lovingly remembered by his children and grandchildren Roger and Jackie (Kristen, Courtney, Ryan, and Jason), Doug and Laurie (Ashley, Craig, Angela and Katelyn), Bill and Rita (Christopher and Shaun), Sherrie Rennie (Laura, Jonathan, Jeffrey, and Amanda), Bill and Maxine Hutchinson (Nicole, Brittany and Cassidy). 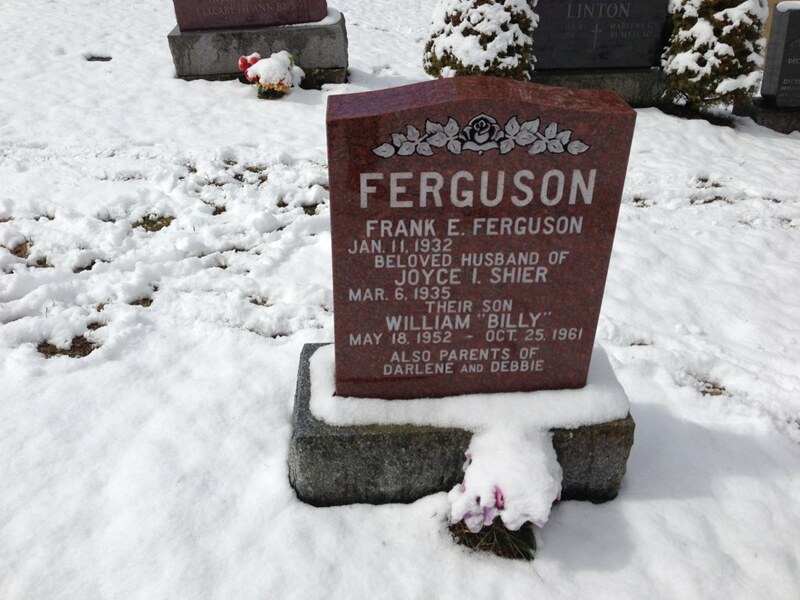 Predeceased by his parents William John and Cora Mae (Nee: Welsh) and his brother Lloyd. 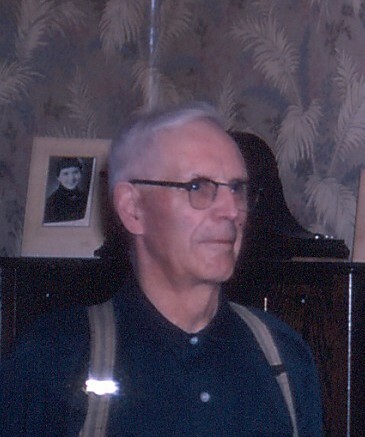 A visitation was held at the Low and Low Funeral Home 23 Main Street South Uxbridge (905) 852-3073 on Sunday, July 5, 2009 from 2:00 - 4:00 and 7:00 - 9:00 p.m. A Funeral Service was held at Uxbridge Baptist Church (231 Brock Street West Uxbridge) on Monday, July 6, 2009 at 2:00 p.m. In lieu of flowers donations may be made to the Uxbridge Historical Society or to the Uxbridge Baptist Church. 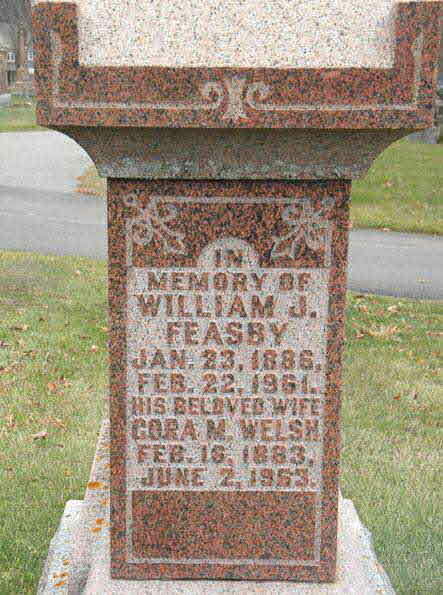 Marriage* Russell Feasby married Cora May Smalley, daughter of Wellington Smalley, on 17 March 1914 in Uxbridge Twp., Goodwood, Ontario County, Ontario, Canada. 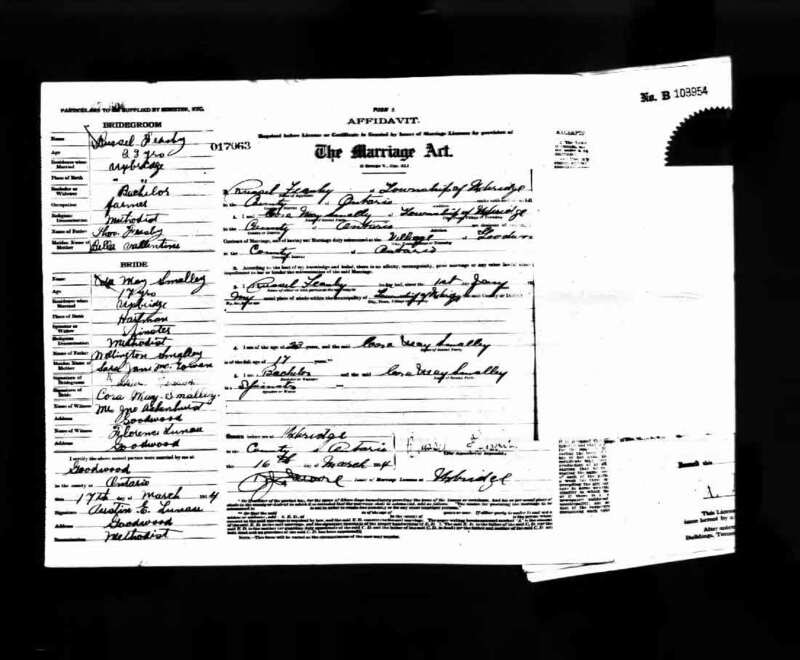 Marriage* Thomas Feasby married Isabella (Bella) Vallentyne, daughter of William Vallentyne and Martha Shier, on 1 May 1882 in Brock Twp., Ontario County, Ontario, Canada. 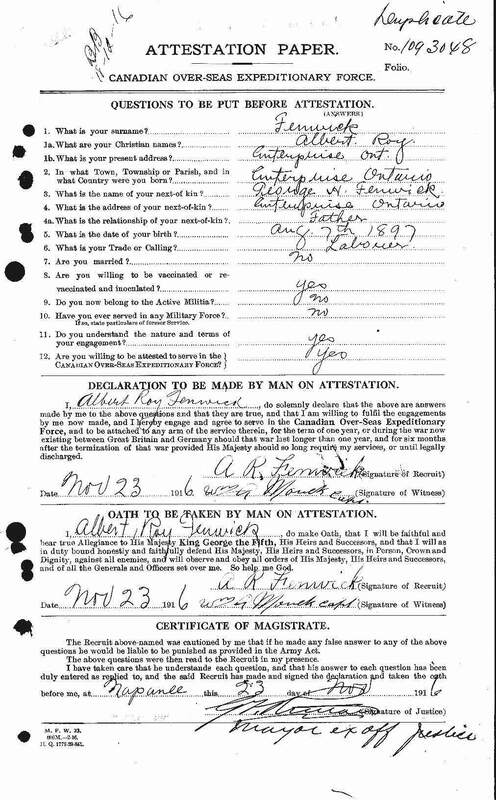 Milit-Beg* Albert Roy Fenwick began military service on 23 November 1916 in Napanee, Lennox and Addington County, Ontario, Canada. 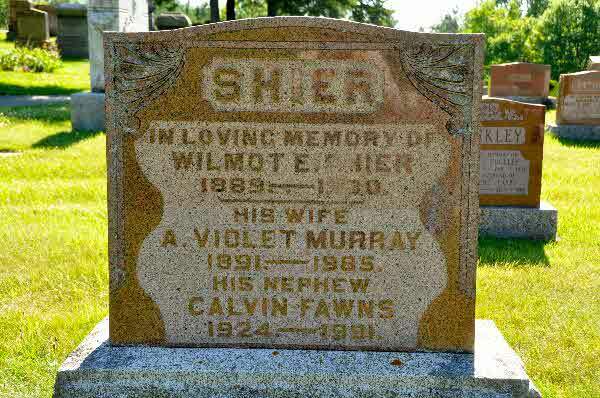 Marriage* He married Estella Robena Switzer, daughter of Robert Scott Switzer and Eunice Annie Raymond, on 16 August 1891 in Enterprise, Lennox and Addington County, Ontario, Canada. Fact 1* Photo of the children of Angus Feguson and Euphemia Nicholson. 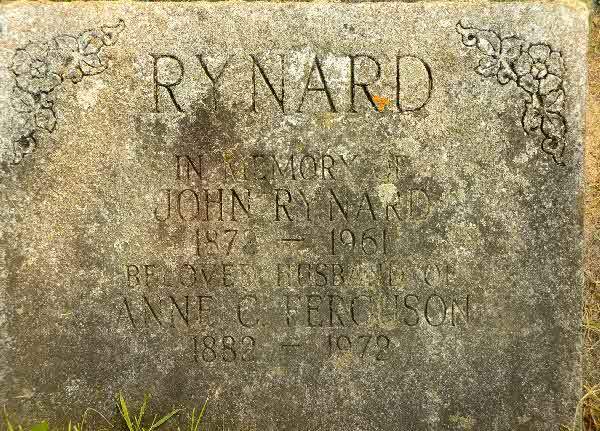 Marriage* She married John Rynard, son of Michael Rynard and Mary JANE Shier, on 30 March 1909 in Brock Twp., Wick, Ontario County, Ontario, Canada. 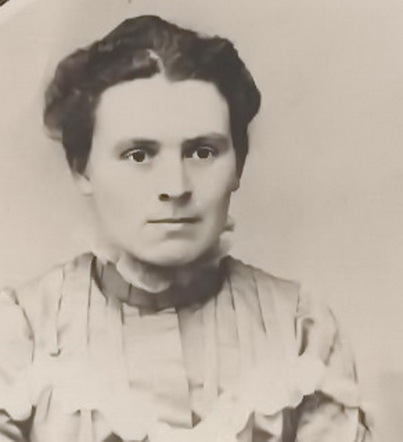 Birth* She was born on 26 April 1873 in Eldon Twp., Victoria County, Ontario, Canada. 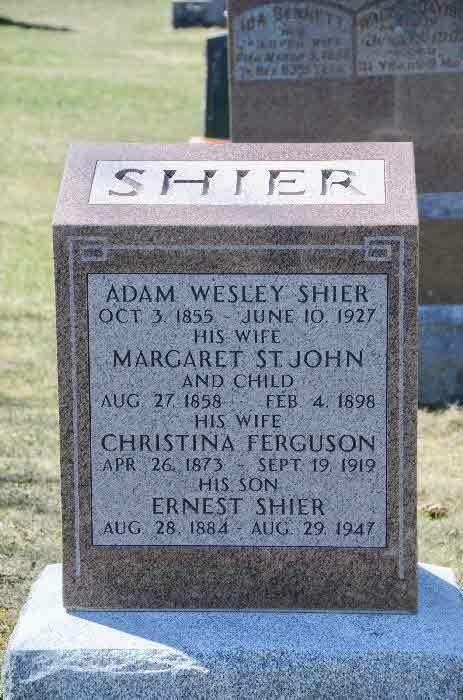 Marriage* She married Adam Wesley Shier, son of Jacob Shier and Phebe Vrooman, on 4 March 1903 in Beaverton, Ontario County, Ontario, Canada. 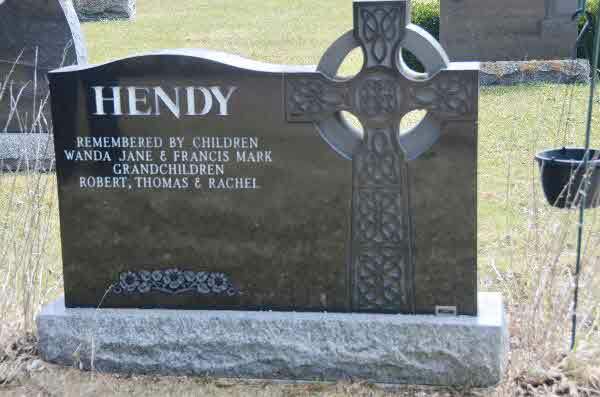 Burial* He was buried on 17 February 1933 in Foster Memorial Cemetery, Scott Twp., Ontario County, Ontario, Canada. 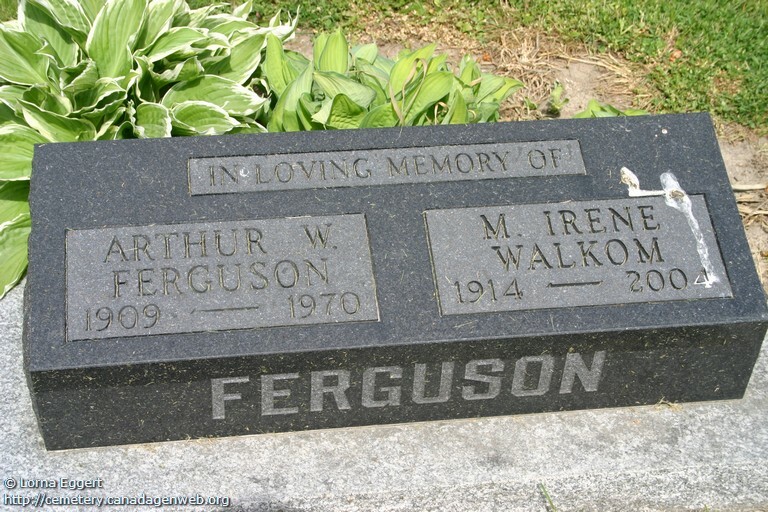 Burial* Francis (Frank) Edward Ferguson was buried. 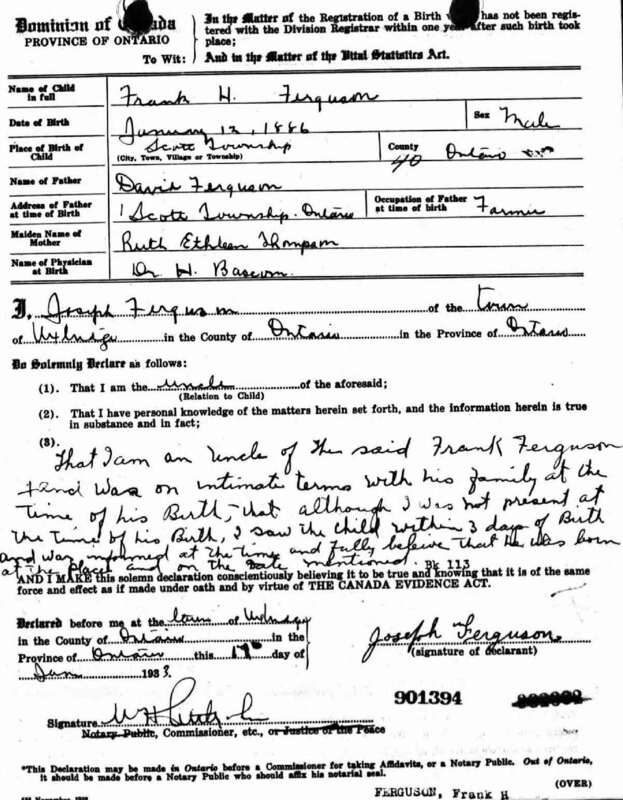 Birth* Franklin Harold Ferguson was born on 12 January 1886 in Scott Twp., Ontario County, Ontario, Canada. 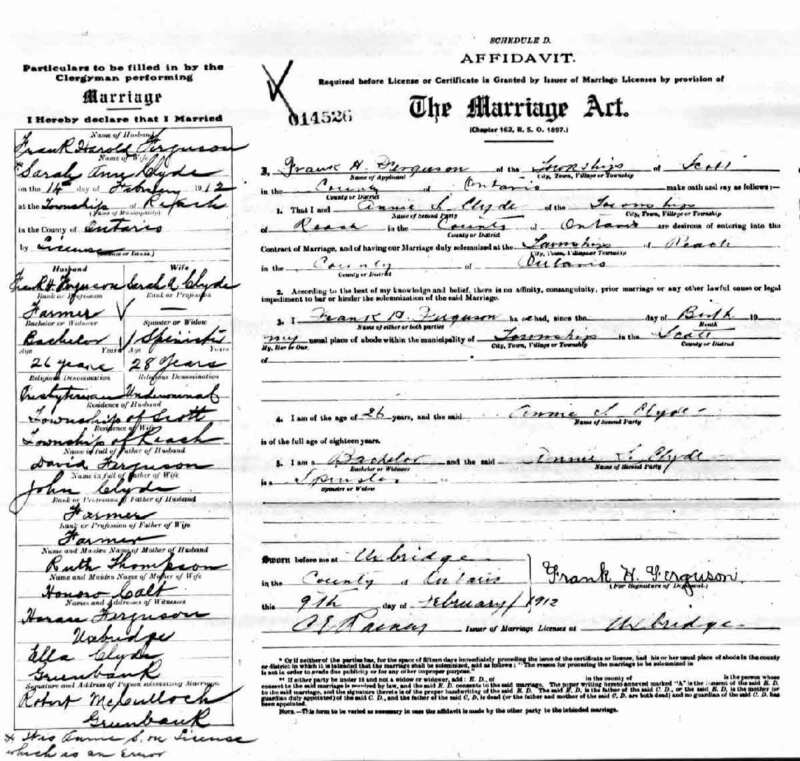 Marriage* Franklin Harold Ferguson married Sarah Anne Clyde, daughter of John Clyde and Honora Calt, on 14 February 1912 in Reach Twp., Ontario County, Ontario, Canada.